Kernel for Novell GroupWise to MBOX is an amazing tool. Because of it, I could migrate about 35 mailboxes to Mac in no time. It simplifies the migration process enormously. Keep going, best wishes Kernel! Kernel for Novell GroupWise to MBOX is designed for Mac users. It offers perfect migration that each and every item is migrated perfectly to Mac environment – emails are converted to AppleMail compatible MBOX format, Calendar items to ICS format (‘iCal’ prior to OS X Mountain Lion), and Contacts to VCF–vCard–format (‘Address Book’ prior to OS X Mountain Lion). Migration from Novell GroupWise to AppleMail completes in a few steps – Select the migration option and connect to the GroupWise mailboxes, Preview mailbox data, and Save in MBOX format. After the migration, you will have emails, calendars, contacts, documents, checklist, archives, cabinet, and trash items in the Mac environment. 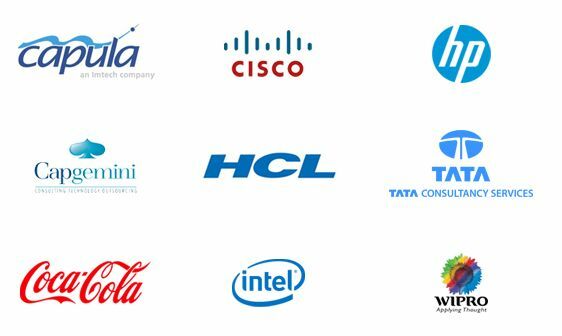 Kernel for Novell GroupWise to MBOX suits even big corporates that have vast number of users. With its multiple mailbox migration facilities, it is easy to migrate all the mailboxes together to save time as well as effort. Such migration is performed with the help of .NUCON or .XLS file. Using Kernel for Novell GroupWise to MBOX, one can migrate archived items and deleted items easily. It recovers deleted items from the Trash folder and migrates them. Also, one can move mailbox folders that are named with UNICODE characters. Kernel for Novell GroupWise to MBOX displays the mailboxes and items for preview before saving in MBOX format. Users can view contents of all folders–emails, calendar entries, images, appointments–in the preview. Though its operation is very complex. The software interface is friendly, screens are descriptive, and the procedure is simple. Administrators can install it quickly and can use it to move a large number of mailboxes to the Mac environment. You can understand the entire procedure of GroupWise to MBOX migration using Kernel for Novell GroupWise to MBOX can be understood in three steps – Initiate migration, Preview, and Save. 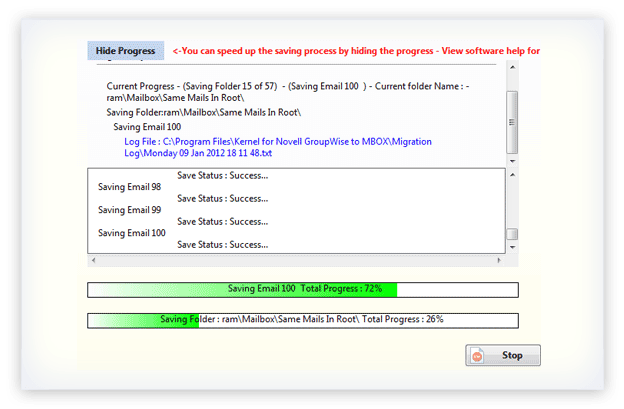 SelectIn this step, select the required migration option along with the mode to connect to the GroupWise mailboxes. In this step, the tool displays the mailbox data in a tree like structure helping users to preview all items. In the final step of migration of mailbox data, users save it in MBOX format. I know that Kernel for Novell GroupWise to MBOX is excellent for the conversion of Outlook mails to MBOX format of Apple Mail, but what about my Outlook Contacts and Calendar? Can this tool migrate them too? Yes. Kernel for Novell GroupWise to MBOX converts Calendar items to ICS format, and Contacts to VCF–vCard–format so that they are accessible in Mac environment. Why it is important to try the trial version of Kernel for Novell GroupWise to MBOX before purchasing it? 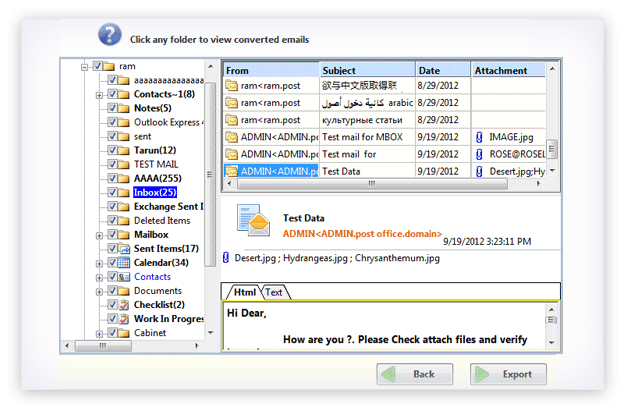 The Novell GroupWise client and the User Mailbox fileshould be of same version or higher version. Novell GroupWise client and MS Excel should be there on the host system (wherethe migration is to be performed). To view contacts and calendar items in Mac, corresponding Mac application should be there. Why it is beneficial to buy the full version of Kernel for Novell GroupWise to MBOX even if I own a trial version of the tool? The trial version of Kernel for Novell GroupWise has some saving restrictions–it allows saving only 10 items per folder. So for complete migration, you should have the full version. How expensive is the training on GroupWise to AppleMail to migration? No training is required for GroupWise to AppleMail migration using Kernel for Novell GroupWise to MBOX. You can move GroupWise items to AppleMail only by reading the instructions on its screen. Also, there is a help file integrated to this software. In case you require assistance, you can get in touch with our technical support team too. I am getting some error messages while performing migration. Why it happens? 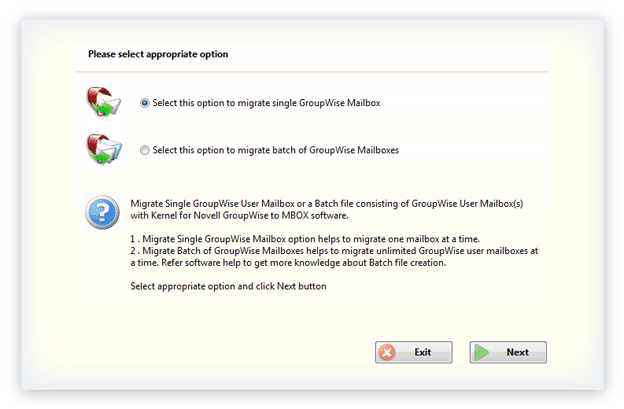 For migration using Kernel for Novell GroupWise to MBOX, the Novell GroupWise client and the User Mailbox file should have matching version or of higher version. If you do not meet this requirement, Kernel for Novell GroupWise to MBOX may send some error messages. Please check it before buying the software. Thanks for the quick response for my query and providing satisfactory technical assistance. Fastest migration is available with the software, and you can migrate unlimited mailboxes in a single cycle. "What was missing in other tools I found this amazing software it is just perfect." Lepide Software Pvt. Ltd. announces the release of Kernel for Novell GroupWise to MBOX, a competent and result oriented software to migrate mailboxes from Novell GroupWise Server environment Apple Mail environment. It helps to effortlessly migrate entire GroupWise mailbox contents such as user emails and attachments into Mail, calendar entries into iCal/calendar, tasks into notes, and personal address books into Contact/Address Book. It helps the user to securely migrate single as well as multiple mailboxes from GroupWise to MBOX format.